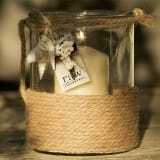 Our hand selected Aromatherapy Necklaces are perfect for indulging your mind, body and soul. With various unique designs to choose from, our lockets are made from 100% high quality hypoallergenic 316L surgical grade stainless steel, which resists corrosion. Its eco-friendly felt pads will hold your favourite aroma all day (felts are also washable). 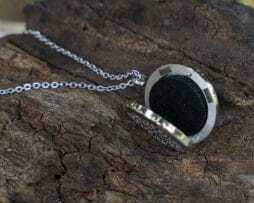 Each locket comes with a free chain, 3 coloured felt pads and a 1ml bottle of Young Living blended Lavender oil. Our Multi-layered timber beaded bracelet has individual charm. 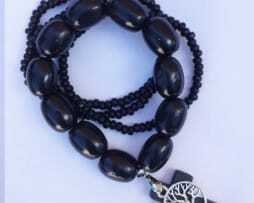 Made with quality products, it features one larger beaded bracelet and three smaller beaded bracelets, also featuring a shabby timber cross and small pendant. Our stretch bracelets are available in three colours, Black, Brown and Tan. Personalise your bracelet by selecting your favourite charm. 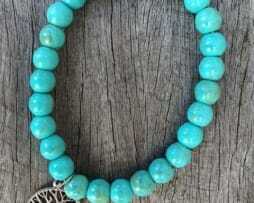 Raw Treasures’ Sterling silver stretch bracelet is the perfect everyday piece. Featuring 10mm sterling silver plated beads, it can be dressed up or down to fit into any occasion. 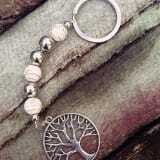 Each bracelet also features a personalised charm including, ‘Tree of Life’, ‘St. Benedict’, ‘Made with Love’ Heart, and ‘Peace’. 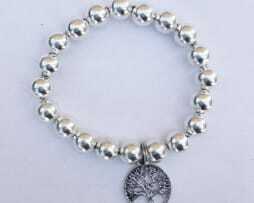 Sterling Silver plated beads are nickel free. 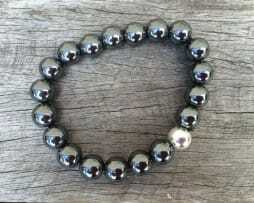 Size: Each silver bead measures 10mmRaw Treasures’ Sterling silver stretch bracelet is the perfect everyday piece. Featuring 10mm sterling silver plated beads, it can be dressed up or down to fit into any occasion. 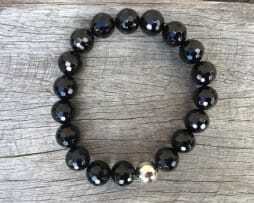 Hand made genuine hematite bracelet with rhodium plated silver bead. Known to have magnetic healing qualities – ideal for blood flow and body aches. 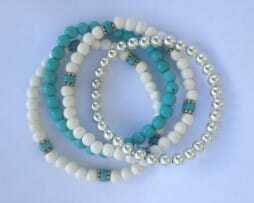 Exclusively designed by Raw Treasures, our semi precious stone stretch bracelets combine the beautiful Turquoise, White Agate and Rose Quarts stones. Known for their soothing and calming energy, the gorgeous colours of the stones make these bracelets a chic jewellery choice. Alongside our stone bracelets we have used our sterling silver plated stretch bracelet. This combination is a set made in heaven. 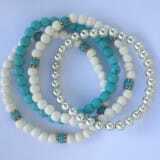 We have grouped together the most popular bracelet combinations into three sets. Select from our drop down menu which set is your preferred choice. Made with love, this bracelet gives you the opportunity to wear one or all. All stones are semi precious and sterling silver plated beads are nickel free.